Thanks for visiting Montana butterflies. Big Sky country has a sufficient land mass to host an incredible two hundred butterfly species. That’s quite a large number for a northern state. 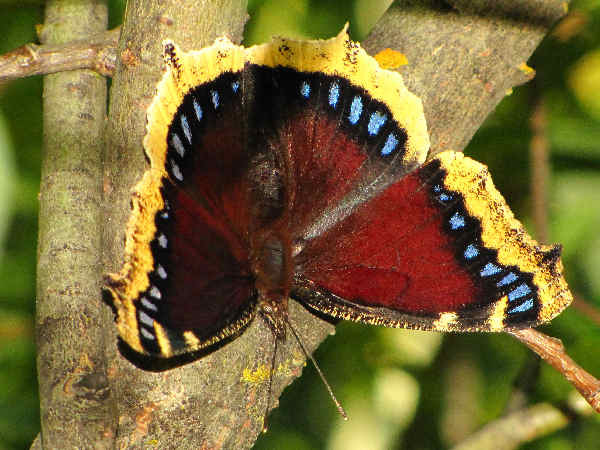 The picture shows a Mourning Cloak Butterfly the Montana state butterfly. Finding places to butterfly in Montana is as easy as finding a good fishing hole. Ask around, everyone knows a local butterfly hotspot. With close to three dozen National Wildlife Refugees and National Parks and about four dozen Montana State Parks, there’s always an opportunity to take a hike and see the butterflies. Check ahead to see if the park has a butterfly checklist. The Lee Metcalf National Wildlife Refuge located south of Missoula has a fifty species checklist. The following list contains butterfly pictures and descriptions of some additional representative species. 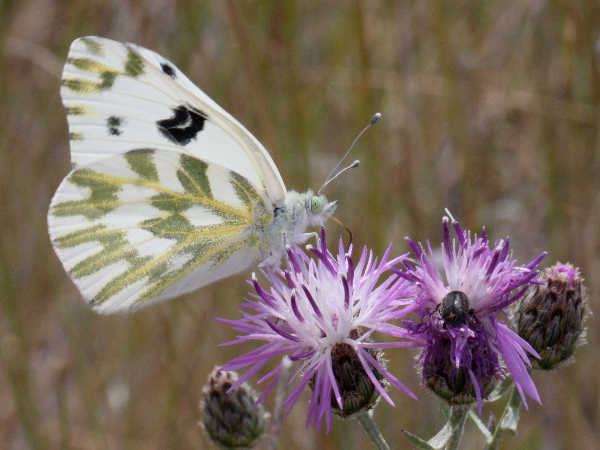 Many states in the north, including Montana, have a balanced diversity of butterfly species in the family Pieridae. They are easy to initially identify by their mostly white or yellow wings. The picture shows a Becker’s White. Here’s a list of the rest of the white butterflies and yellow butterflies documented in the state. Montana’s large geographical area, coupled with its diverse habitats makes it a great place for the Gossamer Wing butterflies. Blues, hairstreaks and coppers abound. All tourists, especially those in the area for fly fishing need do little more than look at the grass and brush that surround the streams they visit and they will easily find a handful of different species. The first picture shows a Ruddy Copper butterfly. They have a state wide range. The picture shows a Ruddy Copper butterfly. 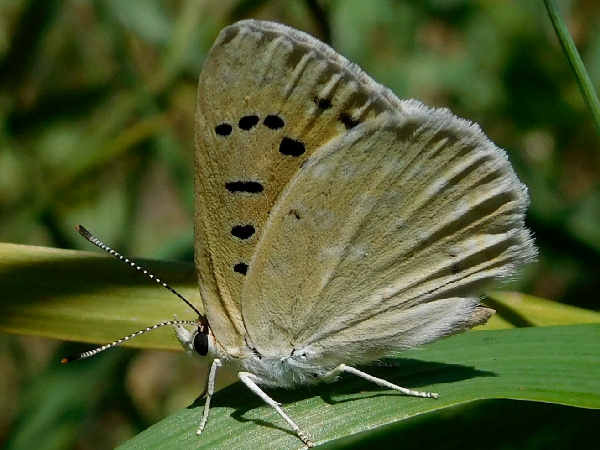 With approximately twenty different blue butterfly species recorded state wide, there’s always at least six species in most areas of the state. 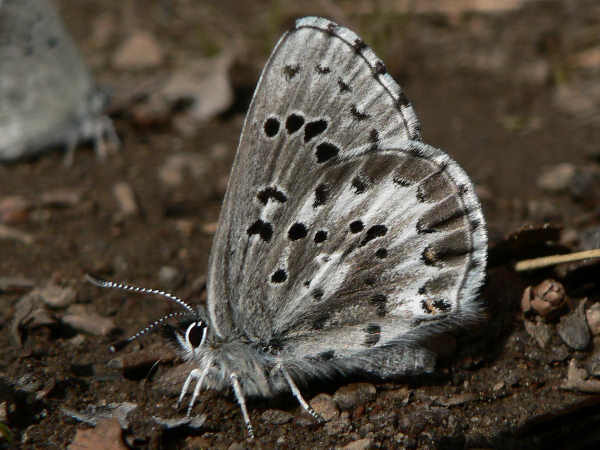 The picture shows an Arrowhead Blue. It’s more common in the mountains and the populations fall off as one heads east. Thicket Hairstreaks are a western species and a great get for anyone from the East looking to add to their life list. They are also a common Mountain species. 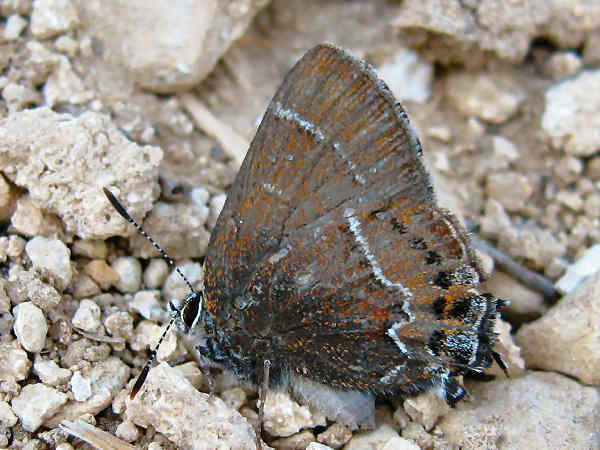 Coral Hairstreaks and Gray Hairstreaks also have a statewide distribution. 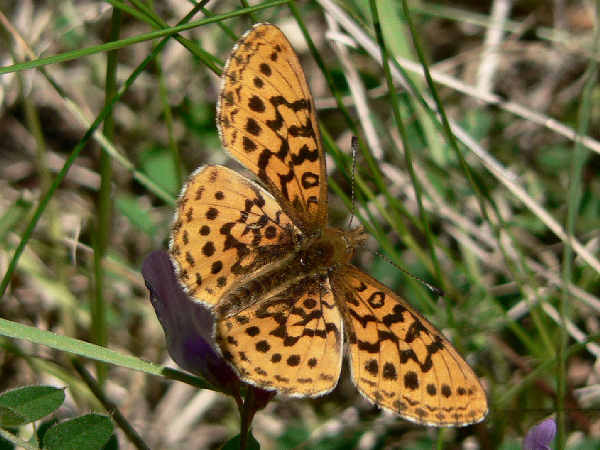 With close to two dozen fritillary species and Wood Nymph/Satyr species, Montana is the place to go for these Brush Foots. The Fritillary species will be the most difficult to identify. Tourists would be advised to snap as many side view and top view pictures of the same Fritillary so that they can have time at home learning to identify them. Fortunately, they are abundant in most areas during the summer months, especially in the mountain areas of the western part of the state. They commonly perch on flowers and branches, making them good photographic subjects. The picture shows a Western Meadow Fritillary. A look at Montana butterflies would not be complete without mentioning all the Alpine and Arctic butterflies documented in the state. Because they are only found in the northern most areas of the United States, they are a must see for all visitors. Only the Uhler’s Arctic has a state wide distribution. The other species are regional. Close to one dozen swallowtail butterflies have been documented in Montana. Many of the northern species such as the Clodius Parnassian and Canadian Tiger Swallowtail are must see species for tourists from the south. Old World Swallowtails, Two-tailed Swallowtails and Anise Swallowtails also have a state wide distribution, although their population levels differ according to region. 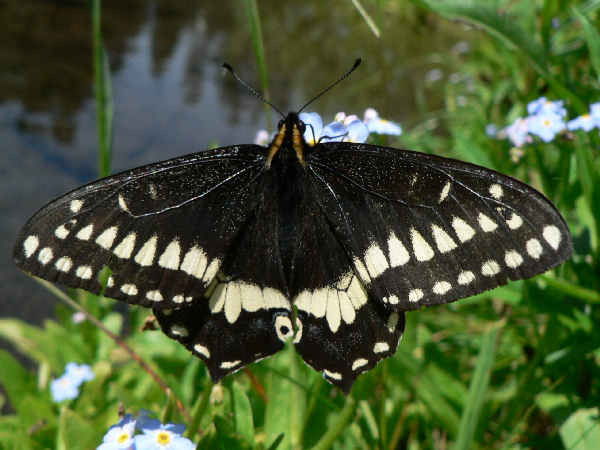 The picture shows and Indra Swallowtail, another Northwest specialty. It can be found in the southwest corner of the state and close to Montana’s area of Yellowstone National Park. Montana host one Metalmark species, the Mormon Metalmark.